Presenting the check to UB Global. L-r: UB Global director Jeff Bleijerveld, associate director Michelle Harris, Rich Beaver, and Cindy Krumanaker. 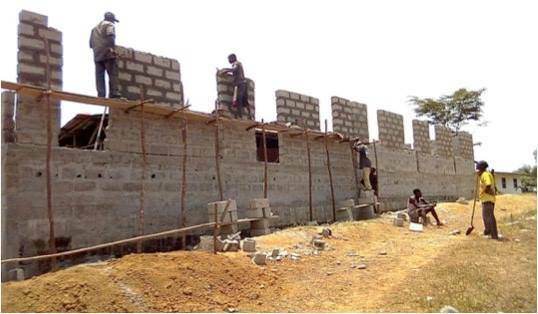 The Rotary Club in Huntington, Ind., has long been a supporter of the Mattru Hospital in Sierra Leone. 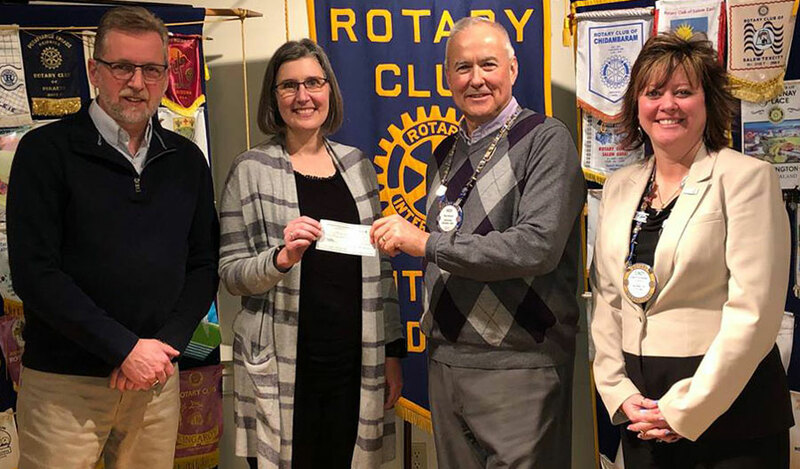 On March 6, members Rich Beaver and Cindy Krumanaker presented Michelle Harris and Jeff Bleijerveld with a check for $11,300. 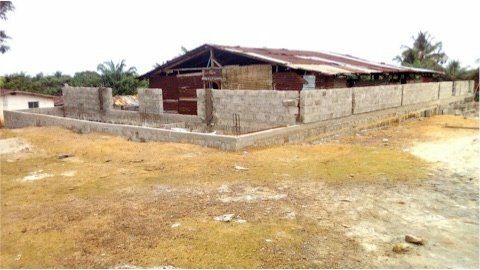 Their contribution will pay for the electric meters being installed throughout the community, so the hospital can charge customers for the electricity provided from their solar array. The proceeds will be used to help pay the salaries of the hospital staff. UB Global is looking for medical doctors who can help fill the month of June while Jon and Heleen Yoder are on leave. If you’re interested or have leads, contact associate director Michelle Harris at michelle@ub.org. Although many news sources no longer cover the civil unrest that began in April 2018, Nicaragua remains in the midst of a national crisis. According to the US State Department, armed and violent uniformed police or civilians in plain clothes acting as police (“para-police”) are targeting anyone thought to oppose the rule of President Daniel Ortega. These groups often cover their faces, sometimes operate in groups numbering in the hundreds, and use unmarked vehicles. Rallies and demonstrations occur daily around the country. Government forces, uniformed police, and para-police have attacked peaceful demonstrators leading to significant numbers of deaths and injuries. Looting, vandalism, and arson accompany unrest. While many of the roadblocks, demonstrations, and lootings have decreased in Managua and other major cities, they may still appear and limit availability of food and fuel. Our United Brethren have remained neutral politically, while praying fervently for their country. 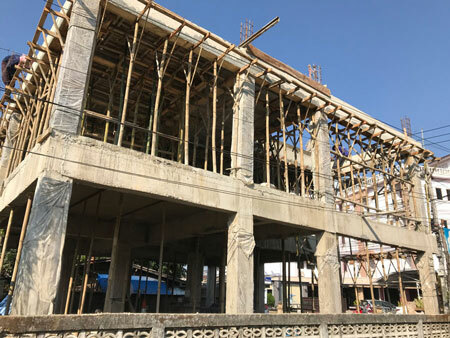 With the generous support that many provided, UB Global has sent funds for relief supplies, the repair of one church building hit by homemade mortars, and sufficient funding to guard and protect the conference buildings (including the new 40-bed conference center in La Ceiba). 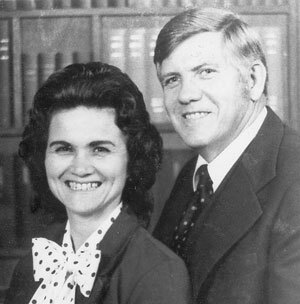 Bishop Denis Casco (left) and Gary Brooks. Bishop Casco headed back to earth. 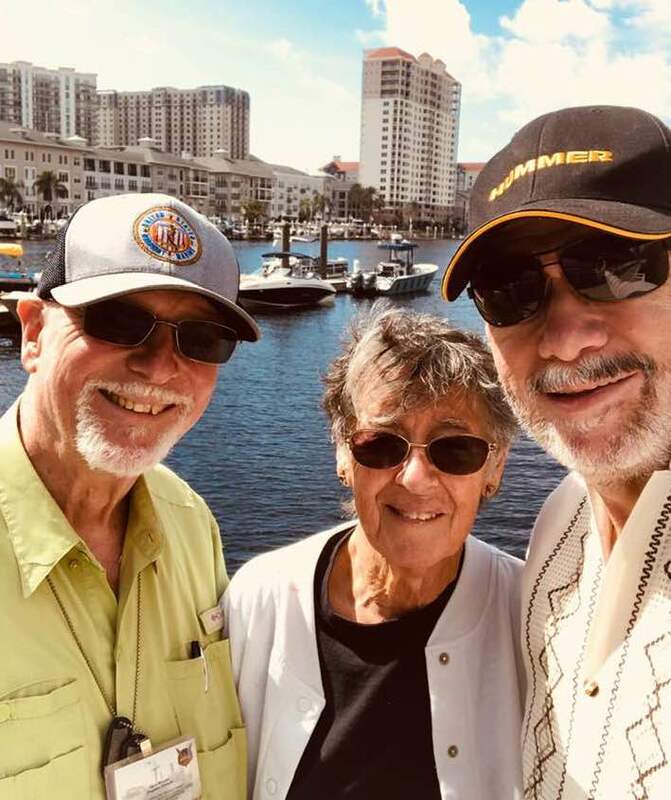 Bishop Denis Casco in Florida with Gary and Diane Brooks. Gary Brooks, an ordained United Brethren minister and former missionary in Honduras, has been highly involved with the UB work in Mexico. He goes there regularly to work alongside Bishop Denis Casco in pastoral training and other ministry. He helps teach pastor/leader seminars, which began many years ago as an outreach of the Huntington University School of Christian Ministries. Bishop Casco says Gary has been a mentor to him for over 40 years. For the past 16 years, Gary has pastored Manatee RV Park Community Church in Tampa, Fla. Though it’s a non-UB congregation, they 15% of their gross income to support United Brethren work in Mexico. Bishop Casco comes to Tampa every other year to give a report to the congregation. During that visit, Gary and Diane arrange something exciting to do. One year, they took a five-day Christian cruise. Another year, they took Denis to an indoor shooting range. Two years ago, they took a ride in an 80-year-old open-cockpit biplane. 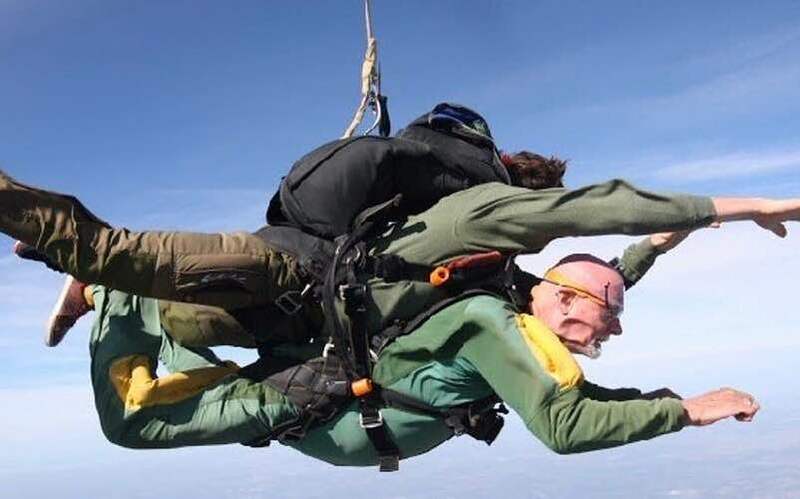 Last October, while Gary was teaching a seminar in Mexico, he asked Bishop Casco if he would be willing to do a tandem skydive during his February visit to Tampa. He not only agreed, but announced at the seminar that that’s what he would be doing. Gary had done 535 jumps since 1988, when he went skydiving for the first time at age 45. That qualified him for the Parachutists Over Phorty Society (POPS). 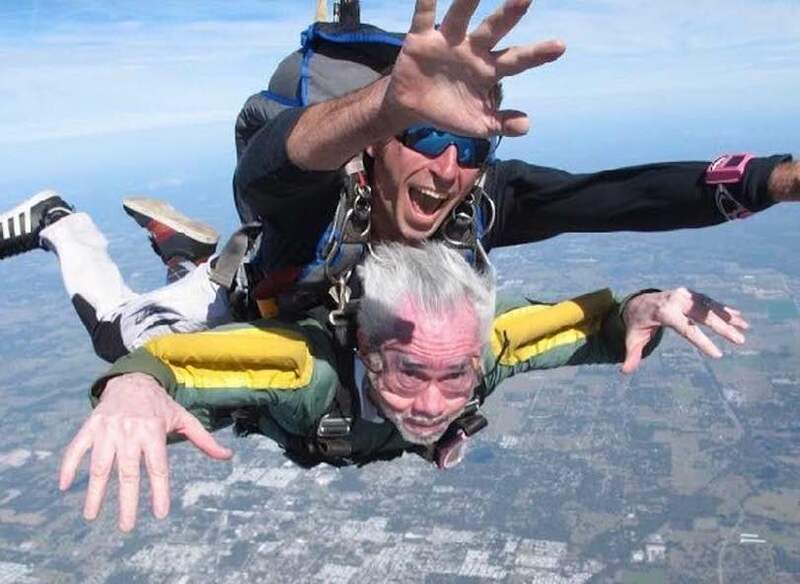 In 2010, a jump at age 67 qualified him for the Skydivers Over Sixty (SOS) club. 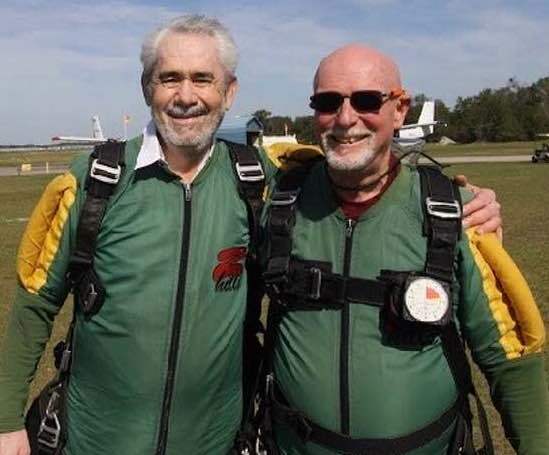 On February 15, Gary and Denis went to Skydive City in Zephyrhills, signed the waivers, and boarded a Twin-Otter for the 20-minute climb to jump altitude (13,500 feet). They both had skydiving photographers to record the entire jump from altitude to the ground. It was the first jump for Bishop Casco, and the 536th for Gary. Said Gary, “I may be 76 years old, but it was still as thrilling as ever!” And he now qualifies for the Jumpers Over Seventy (JOS) club. The Thai Community Center under construction. 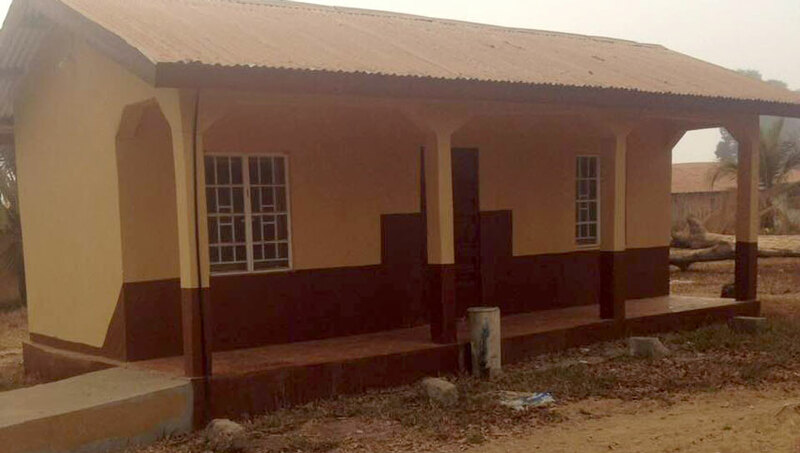 Through your generosity, we raised $63,451 in 2018 to cover the remaining expenses to complete the Thailand Community Center. Thank you! The center is slated to be finished this summer. It is well positioned on a busy road in a middle-class ethnic Thai neighborhood. When the center opens, we will offer a variety of classes to bless the community and build relationships that will hopefully lead to new disciples. 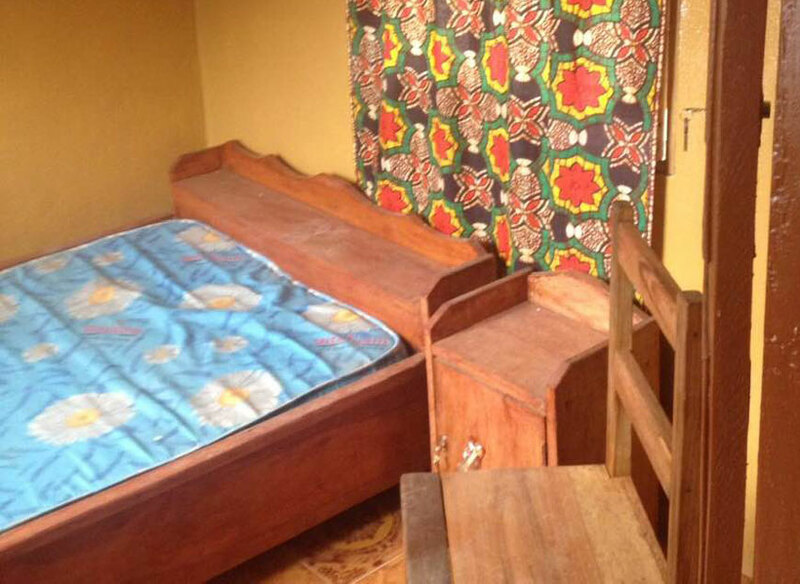 The $3,450 raised beyond our goal of $60,000 will be the seed money to help with future necessary interior purchases such as furniture, paint, and equipment. 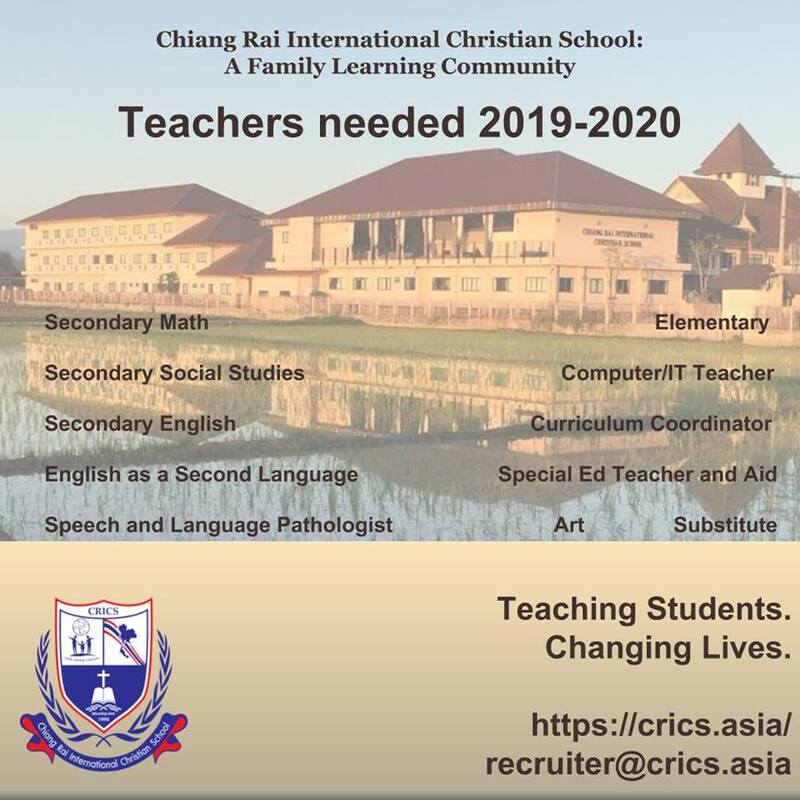 UB Global is looking for a someone, or a family, to join the Thailand team as Short-Term Team Coordinator. Role: take care of the teams which come to Thailand during the year. Contact frank@ub.org if interested. L-r: Grace, Jim, and Heidi Olinger. 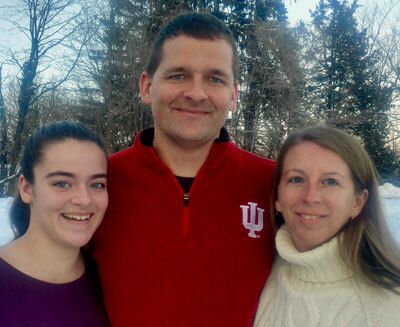 Jim and Heidi Olinger have been accepted as the newest UB Global endorsed missionaries. The Olingers are members of the Hillsdale UB church in Hillsdale, Mich.
Jim recently became president of the Nicaragua Christian Education Foundation (NiCE), based in Highland, Ill. The foundation serves churches and Christian schools through student sponsorships, meal packing projects, and short-term mission teams. Their goal is to come alongside and equip local believers to reach their country for Christ. Jim will oversee all operations of the foundation in the US and Nicaragua. He brings 22 years of pastoral experience and nine years of cooperation with the foundation. Jim and Heidi have been married for 23 years, and will be experiencing an empty nest this fall as Grace enters her freshman year at Huntington University.